All are welcome to all of our services and events, which are Free with collections being taken to help defray the not inconsiderable costs of mounting such a large programme of events. Director of Music – all welcome, admission free with retiring collection. On Thursday 6 December at 6:00pm there will be a Choral Mass for Saint Nicholas’ Day. On Saturday 8 December at 2:00pm the Parish Priest, Fr David McConkey, will read Charles Dickens’ A Christmas Carol, with traditional Victorian carols interspersed. The performance will last two hours, including an interval, and admission is free, with a retiring collection. On Sunday 16 December at 6:00pm the Choir of Girls and Men will lead a service of Readings and Carols for Christmas, featuring music by Sir Richard Rodney Bennett, Lyndon Hilling and Paul Manz, and readings by Kevin Crossley-Holland, William Shakespeare, Rowan Williams & the Bible. 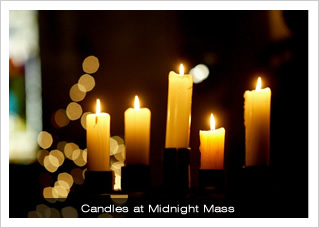 The service will last around one hour, in the magical setting of St Peter’s Church, Marefair, NN1 1SR. Wrap up warm! On Thursday 20 December at 1:10pm the Director of Music gives his final organ recital of 2012, featuring Christmas organ music from across the centuries. All are welcome: admission is free, with a retiring collection. 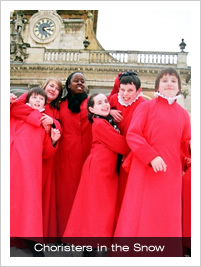 The Festival of Nine Lessons and Carols is sung by our choirs of Boys, Girls and Men on Sunday 23 December at 6:00pm. This is one of the most popular services of the year at All Saints and members of the congregation are asked to arrive no later than 5:30pm to guarantee a seat. The choir will be performing carols by composers including David Bednall, Dan Forrest, Herbert Howells and Robert Walker, as well as leading a number of the most popular congregational carols. 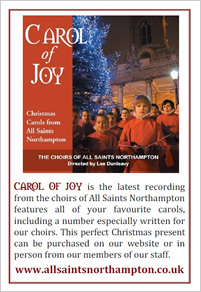 Profits from the service will be donated to Northamptonshire Parent Infant Partnership (NorPIP). This is a registered Charity providing specialist therapeutic counselling to families in Northamptonshire where there are difficulties associated with poor attachment between parents and their babies. The charity works with a wide range of families but in particular disadvantaged families and children, many of whom risk being taken into care as a result of ineffective bonding with their parents. Skilled intensive intervention at an early stage strengthens the family and can be crucial to prevent family breakdown, mental health problems, disrupted education, substance drug abuse, antisocial/offending behaviour and children being at risk or taken into care. Midnight Mass is at the new (earlier) time of 10:30pm on Christmas Eve and is sung by the Girls and Men to the Mass of the Nativity by Richard Shephard. Christmas Day sees a said celebration of the Mass at 8:00am with Carols, and the High Mass of Christmas Day at 10:30am sung by the Boys and Men. 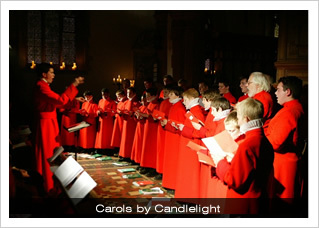 Both services will feature many of your favourite carols.